Pamela Lupton Bowers is the founder and managing director of PLB Consulting Ltd.
She is a professional facilitator and trainer who has worked with adult learners for more than 25 years. Pamela has a unique approach that blends sports psychology, brain based learning and the new field of neuro-leadership to create high energy thinking and learning initiatives that fully engage participants. She is a qualified educator with degrees in sports and language teaching, and post graduate and doctoral studies in linguistics and professional communication. Her work with corporate and non profits has taken her to more than 35 countries where she has created and led initiatives for national and international teams. Pamela excels in creating highly energised meetings that encourage total involvement and commitment. She is an IAF Certified Professional Facilitator, a Neuro Linguistic Programming Practitioner, a Master Trainer in Team Management Systems (TMS), and is accredited in Working with Multi Cultural Teams. She is a faculty member of the International Diploma of Humanitarian Assistance, and founding President of the Geneva Facilitator Network. Pamela takes her commitment to helping humanitarian workers professionalize by teaching ‘pro-bono’ three times a year in Geneva, New York and Nairobi for The International Diploma for Humanitarian Assistance and also provides support to the Jesuit Universities Humanitarian Action Network organised by the International Institute of Humanitarian Affairs at Fordham University. 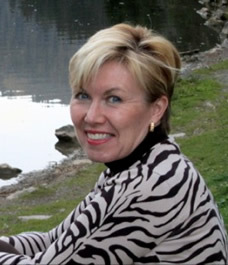 Pamela works with a number of associates according to the needs of the project and the client. All partners are qualified facilitators, trainers and coaches with relative experience in the topic and sector.